Blackpool’s former world title challenger faces the Irishman for the WBO European middleweight title in Belfast on December 7. But having gone toe-to-toe in the main event at the Victoria Warehouse, Rose is well aware that a different type of performance will be required in three weeks’ time. “Friday night was about showing that I am tough and I can stand and have a fight still,” he said. “I can’t do that next time and I won’t do that next time. “Conrad Cummings is better than him. “I’ll have to be on my jab and I’ll have to box and move like I can do. “I’m a good, technical boxer and I need to show that again. “That’s when I was at my best and what I did when I won British titles and was involved in those big domestic tear ups and fought for the world title. 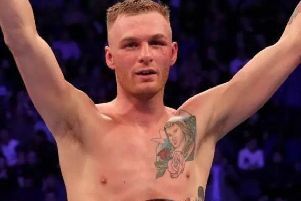 Rose’s first fight since his defeat to Fylde coast rival Jack Arnfield in March 2017 saw him edge out Warren 58-57 on referee Mark Lyson’s card after six rounds. It was a competitive clash as he picked up his 30th professional win, admitting that he just wanted to get stuck in again. “I think it’s got to the point where I just love a tear up,” he said. “I just can’t help myself sometimes. “My last performance against, I don’t even like to say his name, when I got beaten, I didn’t leave it all in the ring. ‘The Lion’ is not messing about on his return to action, going straight into testing encounter with Cummings. He had been originally pencilled in to face Luke Keeler at London’s York Hall seven days later but a back injury to the Dubliner saw Rose’s title fight brought forwards. That fight could still happen with Keeler, who beat Cummings by unanimous decision back in April, waiting in the wings for the winner early next year. 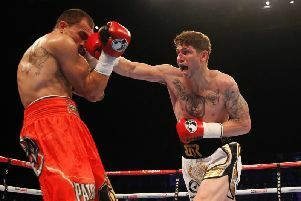 Cummings, 15-2-1, trains in Astley, Greater Manchester, under Jamie Moore in the same stable as two-weight world champion Carl Frampton and super middleweight title holder Rocky Fielding who is set to face Mexican great Saul ‘Canelo’ Alvarez. Rose and Cummings’ clash will be live on YouTube channel IFL TV.